Here at Union Square Design, we use a variety of platforms to create websites. Each company has unique needs, and we take the time to review their requests for websites and choose the platform that is the best fit for them. However, we are particularly fond of a couple of platforms that we use frequently. WordPress, Shopify, and Magento are excellent platforms for website creation and maintenance; their popularity is easy to understand once you start working with them. WordPress allows us to make creative, engaging, and easy-to-manage websites for clients. 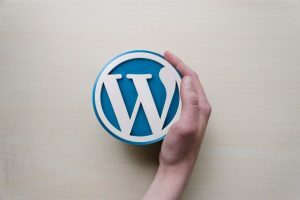 Because WordPress is also a Content Management System, you yourself can make modifications to the site once we’ve finished up. So while your business grows, your website can always reflect those changes. WordPress is great for uncomplicated website layouts, so your visitors will have no problem navigating around. There are also plenty of tools to use to optimize your website in every way possible. Shopify is a popular e-commerce platform, used by many to manage online stores. 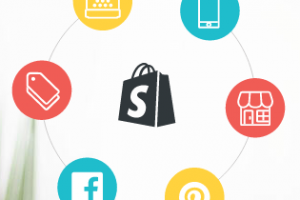 There are plenty of reasons why people love Shopify. This software allows you to customize your store, manage products and inventory, fulfill orders in one step, and track sales and the growth of your store. In addition to all this, you don’t need to be a coder to maintain your store, because this platform is also a Content Management System. Shopify is very easy to use, which is part of its appeal. At Union Square Design, we use Magento as one of our platforms to create flexible e-commerce stores. We will work with you to create a unique and easy to use website. There are various aspects of Magento that can be altered to fit your personal needs, in order to represent your business perfectly online. This will increase user conversions and improve usability.